Book Description A Young Womans Thoughts by Donna Dissauer is a pleasure to read. Donna can take an everyday occurrence, observation or object and paint a clear and concise picture with words that flow beautifully. Donna chose every poem in A Young Womans Thoughts, carefully. The very first poem she wrote, entitled Leaf, takes you on a journey of a leaf falling from the top of a tree. From the moment it begins its descent to the moment it lands upon the ground, you can almost see this leaf as if it is falling right in front of you. Angels In America is perhaps the most poignant poem in the collection. This poem is a dedication written to the heroes and the victims of the September 11th attacks on America. You can almost sense an angels wings wrapping you in warmth and protection. A handful of poems in this collection are written about the one emotion for which we all long, love. This Table Is Reserved is one with which everyone is able to identify. The poem states simply that the heroine is waiting for the love of her life and until he shows up, no one will sit across from her. Lost and Found states the negative things that can tear love apart and what can be done to fix them. It is written in that exact sense. Love is threatened at the beginning of the poem, yet hope emerges in spite of it all by the end. That can be applied to everything in life. Though this poem is written about love, its meaning is not exclusive to love. Silent Guardian was written to show that even in death, your loved one is still very much a part of your life. With her poetry, Donna shows all you have to do is think about what you are feeling. Your loved ones do hear you in your thoughts, skim past you in the gentle breeze and that it is their hand that wipes away your tears. 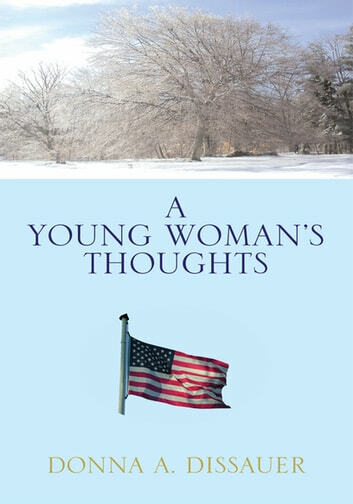 A Young Womans Thoughts is sure to become a favorite among people of all ages and all walks of life. Donnas poetry is down to earth, while still skimming fantasies and dreams. This is a wonderful book to read and one you will want to reminisce about with friends and loved ones.